We have seen celebrities rock the covers of fashion magazines being styled in designer couture, athleisure wear and sustainable clothing options. We have all marveled at their beauty and admired their work. The past decade has been witness to a lot of celebrity weddings that have gained much media attention and coverage. We have loved and adored every image of the bridal wedding dresses. Here are our pick of the top 5 celebrity wedding gowns from the past decade. You wouldn’t recognize this name only if you were living under a rock. Kim Kardashian is a common household name here in the US. She got famous through reality television series Keeping up with the Kardashians that is based on her and her family’s life. Kim got married to the famous rapper, Kanye West, under the watchful eye of the public in the year 2014. Her wedding dress was custom designed by Givenchy’s Ricardo Tisci. It was a floor length mermaid style gown with lace detailing, full sleeves and a sheer back. The wedding gown had all the intricate details that made it a timeless piece. The Royal British Wedding in 2011 was the talk of the town. It was a trending topic all over the world! Prince William got married to Kate Middleton in a royal wedding that brought the iconic wedding scene from the Cinderella cartoon movie to life. The Duchess of Cambridge wore a gown designed by Alexander McQueen’s Sarah Burton. A floor length, V-neck gown with a massive trail, this breathtaking dress had lace detailing on the bodice and the sleeves. It is truly one of the most remarkable fashion pieces to have been created. A Colombian beauty, Sofia Vergara is the famous Gloria from the hit American television series Modern Family. She married her beau in 2015 and threw a huge wedding party that was the talk of the industry. Her wedding gown was a gorgeous white colored dress with a lavish, detachable trail. The strapless dress was adorned with pearls, sequins and crystals that were woven together to create this elaborate and lavish wedding gown fit for a Queen. Jessica Biel’s wedding dress holds a special place in our hearts because of the romantic pink color of the gown. She got married to the famous Justin Timberlake in 2012 and has since stood out because of her bold and different choice of wedding gown. Who knew that a wedding dress that wasn’t the standard white color would look so beautiful and perfect for marriage ceremony? This Bing Bang Theory star got married in mid-2018 to her fiancé, professional equestrian Karl Cook. Her wedding dress was a quirky take on traditional and modern style. Inspired from the 1920s Hollywood glamour, Kaley’s dress had beautiful lace detailing with the 1920s subtle ruffles. It took 400 hours to make and was a high neck, short sleeved dress with a beautiful flowing cape. Wedding gowns are the most classy and significant pieces of clothing for a bride. 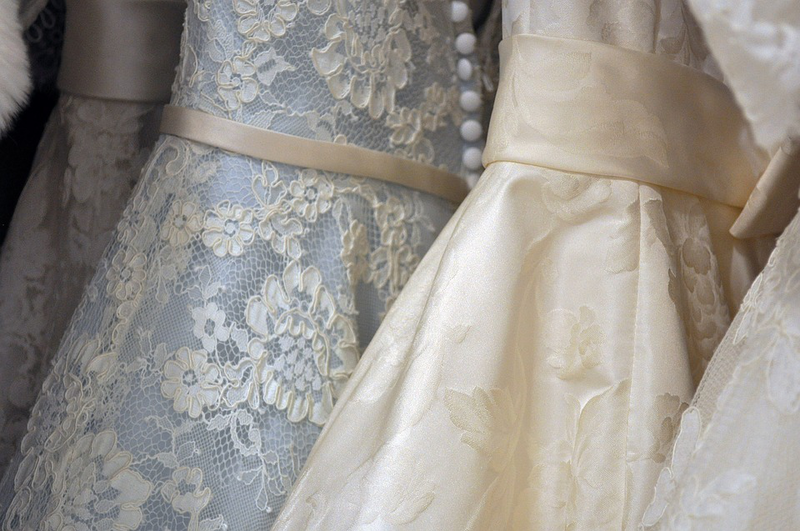 It is important to contact a professional service to preserve wedding gowns even after your big day is over. If you are a bride, then contact Imperial Valet for dry cleaning services in DC.